Not to be confused with Karl Lutz. Due to his actions, half of the Jewish population of Budapest survived and was not deported to Nazi extermination camps during the Holocaust. He was awarded the title of Righteous Among the Nations by Yad Vashem. 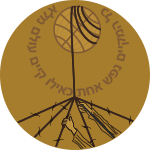 Righteous Among the Nations is an honorific used by the State of Israel to describe non-Jews who risked their lives during the Holocaust to save Jews from extermination by the Nazis. The term originates with the concept of "righteous gentiles", a term used in rabbinic Judaism to refer to non-Jews, called ger toshav, who abide by the Seven Laws of Noah. Yad Vashem is Israel's official memorial to the victims of the Holocaust. 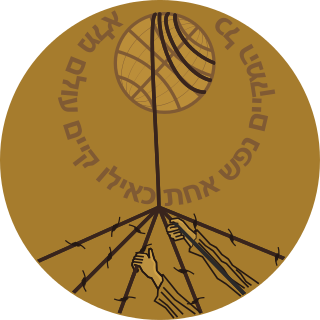 It is dedicated to preserving the memory of the dead; honoring Jews who fought against their Nazi oppressors and Gentiles who selflessly aided Jews in need; and researching the phenomenon of the Holocaust in particular and genocide in general, with the aim of avoiding such events in the future. Appenzell is a historic canton in the northeast of Switzerland, and entirely surrounded by the canton of St. Gallen. 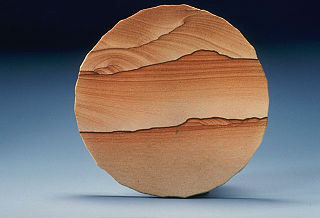 Sandstone is a clastic sedimentary rock composed mainly of sand-sized mineral particles or rock fragments. Central Wesleyan College was a private college sponsored by the Methodist Church in Warrenton, Missouri from 1864 to 1941. In 1920, Lutz found a job in the Swiss consular corps at the Swiss Legation in Washington, D.C. 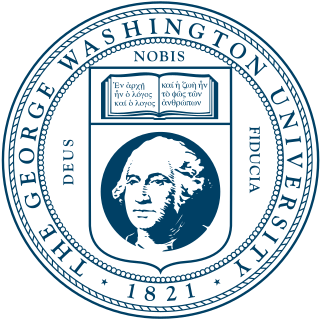 He continued his education there at George Washington University, where he received a bachelor's degree in 1924. During his time in Washington, D.C., Lutz lived in Dupont Circle. He continued to work for the Swiss Legation. 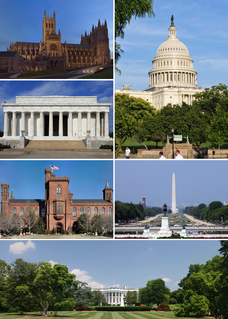 Dupont Circle is a traffic circle, park, neighborhood, and historic district in Northwest Washington, D.C.. The Dupont Circle neighborhood is bounded approximately by 16th Street NW to the east, 22nd Street NW to the west, M Street NW to the south, and Florida Avenue NW to the north. Much of the neighborhood is listed on the National Register of Historic Places. However, the local government Advisory Neighborhood Commission and the Dupont Circle Historic District have slightly different boundaries. In 1926, Lutz was appointed as chancellor at the Swiss Consulate in Philadelphia, United States. He next was assigned to the Swiss Consulate in St. Louis, and served in total from 1926 to 1934 in the two cities. In 1934, he met his first wife, Gertrud Fankhauser, and they married in January 1935. Lutz left the United States after more than 20 years. He was assigned in January 1935 as vice-consul to the Swiss Consulate General in Jaffa, in what was then Mandatory Palestine. In 1936, from their apartment he and his wife saw an unarmed Jew being lynched by an Arab crowd. He served there until 1942. Lutz deliberately used his permission for 8,000 as applying to families rather than individuals, and proceeded to issue tens of thousands of additional protective letters, all of them bearing a number between one and 8,000. He also set up some 76 "safe houses" around Budapest, declaring them annexes of the Swiss legation and thus off-limits to Hungarian forces or Nazi soldiers. Among the safe houses was the now well known "Glass House" (Üvegház) at Vadász Street 29. About 3,000 Hungarian Jews found refuge at the Glass House and in a neighboring building. Together with other diplomats of neutral countries, such as Raoul Wallenberg, appointed at the Swedish embassy, Carlos de Liz-Texeira Branquinho and Sampaio Garrido at the Portuguese Embassy, Angelo Rotta, the Apostolic nuncio of the Holy See; Angel Sanz Briz, the Spanish Minister, later followed by Giorgio Perlasca, an Italian businessman working at the Spanish embassy, and Friedrich Born, the Swiss delegate of the International Committee of the Red Cross, Lutz worked relentlessly for many months to prevent the planned deaths of innocent people. He and his colleagues dodged the actions of their German and Hungarian counterparts. Thanks to his diplomatic skills, Lutz succeeded in persuading Hungarian and Nazi German officials, among them Adolf Eichmann, to tolerate, at least in part, his formal protection of Hungarian Jews. Lutz's efforts to undermine the Nazi genocide were so bold and so extensive that, in November 1944, Proconsul Edmund Veesenmayer, the German representative in Hungary, asked permission to assassinate the Swiss Consul; Berlin never answered. The Swiss Minister, Maximilian Jaeger, supported Lutz until his departure at his government's orders as the Soviet Army approached in late 1944. In the last weeks before the Red Army took the city, Lutz was helped by Harald Feller, who took over responsibility of the Swiss legation after Jaeger's departure. Lutz's wife Gertrud ('Trudi') notably played a central supporting role during the whole period of her husband's activities in Budapest. 1991, a memorial dedicated to him was erected at the entrance to the old Budapest ghetto  (see photo above). His name has been included in The Raoul Wallenberg-memorial at the Dohány Street Synagogue in Budapest (see photo above). 1 2 3 4 5 6 7 8 9 Grunwald-Spier, Agnes; Gilbert, Martin (26 December 2010). Other Schindlers: Why Some People Chose to Save Jews in the Holocaust. History Press. pp. 26–27. ISBN 978-0-7524-6243-1. 1 2 3 4 5 6 Wagner, Meir; Meisels, Moshe (2001). The Righteous of Switzerland: Heroes of the Holocaust. KTAV Publishing House, Inc. pp. 188–189. ISBN 978-0-88125-698-7. 1 2 3 4 5 Chronology of Rescue by Charles "Carl" Lutz — Rescue in the Holocaust. Holocaustrescue.org. Retrieved on 26 February 2018. ↑ Paldiel, Mordecai (2007). Diplomat Heroes of the Holocaust. KTAV Publishing House, Inc. pp. 122–. ISBN 978-0-88125-909-4. ↑ Schelbert, Leo (21 May 2014). "Lutz, Carl Robert". 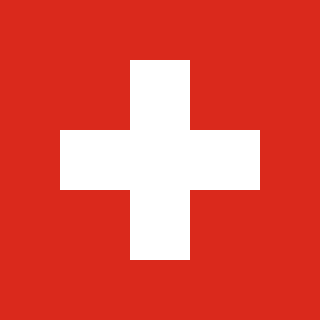 Historical Dictionary of Switzerland . Rowman & Littlefield Publishers. pp. 232–. ISBN 978-1-4422-3352-2. ↑ Braham, Randolph L.; Scott Miller (1998). The Nazis' Last Victims: The Holocaust in Hungary. Wayne State University Press. pp. 143–144. ISBN 0-8143-3095-9. 1 2 3 4 5 6 Bartrop, Paul R.; Dickerman, Michael (15 September 2017). The Holocaust: An Encyclopedia and Document Collection [4 volumes]. ABC-CLIO. pp. 414–. ISBN 978-1-4408-4084-5. ↑ Scenic Lookout Dedicated in Memory of Carl Lutz – Green Israel. Jerusalem Post (4 December 2017). Retrieved on 2018-02-26. ↑ "'Swiss Schindler' honoured with room in Federal Palace". The Local . Retrieved 15 February 2018. ↑ "Swiss honor diplomat who saved thousands of Jews". Jewish Telegraphic Agency . Retrieved 15 February 2018. (in French) Luca Bernardi, "Le diplomate courage" (subtitle: "Carl Lutz, vice-consul de Suisse à Budapest entre 1942 et 1945, a mis au point une stratégie ayant permis de sauver plus de 62 000 Juifs. Une exposition dans sa ville natale est consacrée à cet homme quasi oublié"), Le Temps , 4 September 2013, p. 28. (in German)(in French) Theo Tschuy: Carl Lutz und die Juden von Budapest. NZZ Libro, Zürich 1999, ISBN 978-3858237538. (in German) Erika Rosenberg: Das Glashaus: Carl Lutz und die Rettung ungarischer Juden vor dem Holocaust. Herbig, München 2016, ISBN 978-3776627879. Wikimedia Commons has media related to Carl Lutz . The Rescuer and His Camera – Photos taken by Carl Lutz, "Through the Lens of History" (Yad Vashem). Rescuers of Jews during the Holocaust are those who, during World War II, helped Jews and others escape the Holocaust conducted by Nazi Germany. A well-known rescuer was Oskar Schindler, one of thousands who have been so recognized. Giorgio Perlasca was an Italian businessman and former fascist who, with the collaboration of official diplomats, posed as the Spanish consul-general to Hungary in the winter of 1944, and saved 5,218 Jews from deportation to Nazi Germany death camps in eastern Europe. Ángel Sanz Briz was a Spanish diplomat who served under Francoist Spain during World War II. He saved the lives of some five thousand Hungarian Jews from deportation to Auschwitz. Sanz Briz is sometimes referred to as "the angel of Budapest". Ho Feng-Shan was a Chinese diplomat for the Republic of China. When he was consul-general in Vienna during World War II, he risked his life and career to save more than 3,000 Jews by issuing them visas, disobeying the instruction of his superiors. Ho's actions were recognized posthumously when the Israeli organization Yad Vashem in 2000 decided to award him the title "Righteous Among the Nations". Per Johan Valentin Anger was a Swedish diplomat. Anger was Raoul Wallenberg's co-worker at the Swedish legation in Budapest during World War II when many Jews were saved because they were supplied with Swedish passports. After the war, he spent a lot of time trying to clarify Wallenberg's fate. The Glass House was a building used by the Swiss diplomat Carl Lutz to help Jews in Budapest during the Holocaust. The Shoes on the Danube Bank is a memorial in Budapest, Hungary. Conceived by film director Can Togay, he created it on the east bank of the Danube River with sculptor Gyula Pauer to honour the Jews who were killed by fascist Arrow Cross militiamen in Budapest during World War II. They were ordered to take off their shoes, and were shot at the edge of the water so that their bodies fell into the river and were carried away. It represents their shoes left behind on the bank. 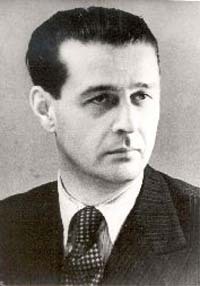 Harald Feller was a Swiss diplomat who saved Hungarian Jews during the Holocaust, for which he was honored by Yad Vashem as one of the Righteous Among the Nations in 1999. David H. Kranzler was an American professor of library science at Queensborough Community College, New York, who specialized in the study of the rescue of Jews during the Holocaust. Friedrich Born was a Swiss delegate of the International Committee of the Red Cross (ICRC) in Budapest between May 1944 and January 1945, when he had to leave Hungary following orders of the occupying Red Army. Angelo Rotta, originally from Milan, Italy, was the Apostolic Papal Nuncio in Budapest at the end of World War II. He was involved in the rescue of the Jews of Budapest from the Nazi Holocaust, and is a significant figure in Catholic resistance to Nazism. Chaim Yisroel Eiss (1876-1943) was an Agudath Israel activist and writer. He also was among the founders of the Agudath Israel in 1912. During the First World War, Rebbe Eiss set up an aid system that located refugees, found out what they most needed and raised the required funds. During World War II, he worked on behalf of Jews in Nazi-occupied Europe and he was a member of the Bernese Group also called as Ładoś Group. George Mantello was a Jewish diplomat who, while working for the Salvadoran consulate in Geneva, Switzerland from 1942 to 1945, saved thousands of Jews from the Holocaust by providing them with fictive Salvadoran citizenship papers. He publicized in mid-1944 the deportation of Hungarian Jews to the Auschwitz concentration camp, which had great impact on rescue and was a major contributing factor to Hungary's Regent Miklós Horthy stopping the transports to Auschwitz. Gisi Fleischmann was a Zionist activist and leader of one of the best known Jewish rescue groups during the Holocaust: the Bratislava Working Group. Fleischmann was arrested on 15 October 1944 and was murdered in the Auschwitz concentration camp three days later. José Arturo Castellanos Contreras was a Salvadoran army colonel and diplomat who, while working as El Salvador's Consul General for Geneva during World War II, and in conjunction with a Jewish-Hungarian businessman named György Mandl, helped save up to 40,000 Jews and Central Europeans from Nazi persecution by providing them with Political Asylum. Hajnalka "Hansi" Brand was a Hungarian-born Zionist activist who was involved, as a member of the Budapest Aid and Rescue Committee, in efforts to rescue Jews during the Holocaust. Juliusz Kühl also known as Julius or Yehiel Kühl was a Polish diplomat, Holocaust rescuer and – after the World War II – Canadian construction businessman. Kühl was a member of the Bernese Group also called as Ładoś Group and he is particularly known for his role in the production of false Latin American passports by the Polish Legation in Bern, Switzerland, thanks to which between several hundred and several thousand Jews in German-occupied Poland and Netherlands survived the Holocaust. Bernese Group also called as Ładoś Group - name attributed to a group of Polish diplomats and Jewish activists who during Second World War elaborated in Switzerland a system of illegal production of Latin American passports aimed at saving European Jews from Holocaust.